In 2017, figures emerged that showed the average cost of a wedding in the UK has officially gone over the £27,000 mark. Surely there must be a better way to enjoy the big day without breaking the bank? What about planning a wedding for less than half of the average..? Here is how to plan a wedding under £10,000 without having to make any sacrifices for the perfect big day. After looking through 100 different variations of ivory coloured napkins, it can be easy to pick the first one you see. However, the decision may not be the cheapest. Too many of these decisions can soon see the bill wrack up. When looking for any part of your wedding, it is important to shop around and see where you get your best value for money. This isn’t just the decorations either; you should also look at different catering choices and photographers before making any decisions. It may take a little bit more time to plan, but at least you’ll be able to keep those cost down! When you’re shopping around it is worth looking at different venue options. The number of guests will drastically affect the size of the venue you need, while the time of year can also make a huge impact. Some places offer up significant discounts if a member of your family is a member or a regular. It’s always worth asking as you could save yourself thousands of pounds in the long run. Venues are the biggest cost for any wedding day, so if you want to plan a wedding under £10,000 then you’re going to need to see where you can cut costs here. Sadly, Saturday weddings are often a lot more expensive than any other day of the week. For this reason, it might be an idea to look at the other six days of the week as options instead. Having a Friday ceremony may be awkward for some to get off work, but the important guests will be there. Alternatively, there is Sunday, even if it means the after party has to have an earlier bedtime. When planning a wedding under £10,000 you’re going to have to make a few sacrifices, but hopefully your guests won’t mind a Friday or Sunday wedding (they are getting a free party after all)! Table decorations, place cards, and wedding favours can all sneakily up the price of a wedding budget. Although they seem small on their own, combined these can be a considerable cost. Therefore if you’re feeling a bit creative – or perhaps fancy a night in with the wedding party – you can get cracking and make some of your own. Not only will this help save the pennies, but you can also show off your creations when the big day rolls around. We have plenty of tips for a DIY wedding both on the blog and on our Pinterest – so get crafty! Flowers are an important part of most weddings – it’s just unbelievable how much they can cost! After looking at different florist options, there may be another way to save on the floral money. If the bridesmaids all have bouquets, what is to stop them from being reused as centrepieces for the tables? Now you can get two uses for the price of one from the arrangement. To save even more money, make your own wedding flowers using supermarket bargains. There is only so much you can make by hand when it comes to decorating your wedding venue. But that doesn’t mean you have to fork out on expensive pieces to finish it off. Many companies hire out decorations such as fairy lights and chandeliers. This means you save on the cost of buying them yourself, and don’t have the worry of storing them after the big day is over. Alternatively, ask your friends and family if they have anything you can borrow for the day. Did you know that many supermarkets have started wedding cake lines? These alternatives to a baker can come in much cheaper than their rivals which will help stick to the budget. If you don’t want to head to a supermarket, you could think about having just one tier of a cake instead of an entire tower. Maybe if you’re really creative, you could even bake one yourself! If cakes aren’t your thing but you still want a sweet treat, offering a tower of doughnuts or brownies could be the perfect answer to both cost and dessert. You could also make your own naked wedding cake if you want to be on-trend! When it comes to getting the bridesmaids dresses, it can be hard to keep the costs low. However, why fork out on expensive gowns? High street stores now offer stunning dresses at a fraction of the cost – we have some top tips and plenty of bridesmaid dresses under £100 right here. Plus, wedding dresses don’t have to take up the entire budget. There are many shops now provide discounted stock from last season, in addition to many online sites having sales to clear out the sizes. It’s common for the bride to have her hair and makeup prepared before the big ceremony. Although it is part of getting ready, is there any way to keep the cost down? Of course! By only paying for the bride it will keep the bill to a minimum. Plus, if you feel confident with a makeup brush, you could always opt to do it yourself to save even more money. We also know a clever hack to get your wedding makeup down for free! The idea of a huge wedding with hundreds of guests may be the dream of many – and the nightmare of some. However, all those extra mouths can mean even more expense. When it comes down to it, who would you really like to be at your big day? If you really want to plan a wedding under £10,000 it could be worth keeping the guest list limited to close family and friends who will all get to benefit from the bigger budget for the rest of the day. Although having the right food can be a make or break at the wedding breakfast, it is important not to get too hung up on the menu. After all, the day is meant to be about celebrating the love between you and your partner, not getting the perfect smoked salmon tartlet. As long as you enjoy the food and it’s within your budget – that’s all that matters. If you’re trying to plan a wedding under £10,000 then how about doing the food yourself? 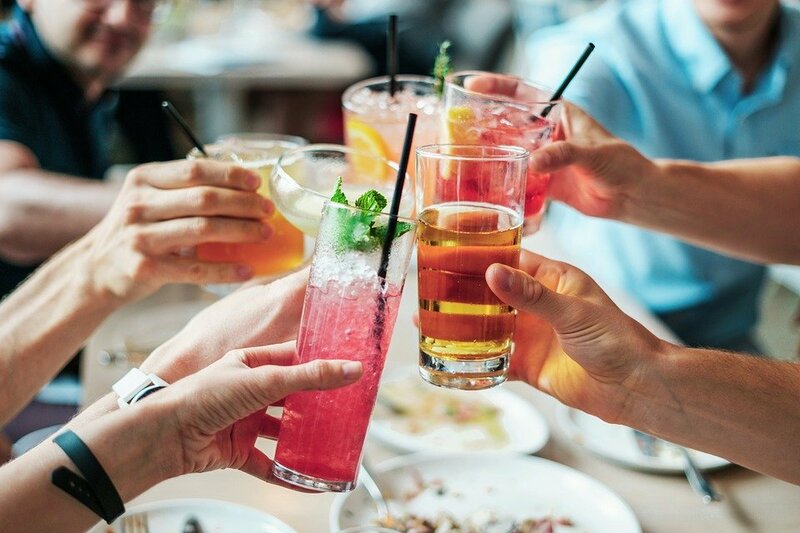 This may be a taboo subject, but have you thought about not having an open bar? We know, many won’t like the idea of paying for drinks at a wedding. However, when it comes to keeping yourself in the black, this can be a huge corner to cut on the journey to saving money. If you’re worried, you could always offer drinks tokens or put a certain amount of money behind the bar to cover the first hour or so. Perhaps you know a florist, and you once helped change their tyre? Or maybe your grandparents own a vintage car that would be perfect for the big day? Either way, you may be surprised to learn how many people are willing to help if you just ask. Plus you could enjoy your wedding under £10,000 even more knowing that it was put together through the love of friends and family. Some costs are unavoidable, such as getting the marriage license or paying for the registry office. That doesn’t mean that you can’t track where your money is going. If you set out enough to cover the absolute essentials, then you can see how much of the budget is left to play with. Then everytime you make another booking or purchase make a note. This should help you to stick to your budget. With so many aspects to take into consideration, it can be hard to keep on top of where all the money goes. However, with a bit of time and looking around it seems as though the budget can soon come way down. Who said weddings have to be so expensive anyway? 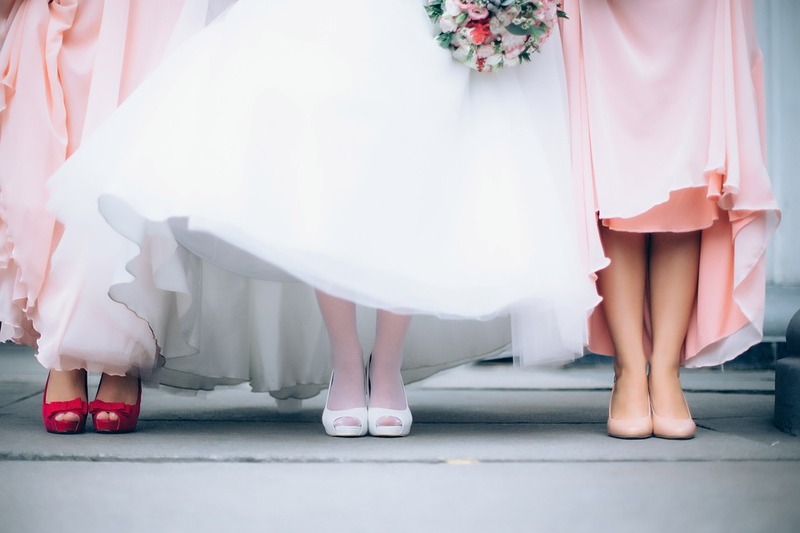 We hope these tips help you plan the perfect wedding under £10,000 – if you have any to add, feel free to let us know in the comments. We might even add your tip! Hello! My name’s Emily, and when I’m not helping budget awesome weddings I love spending my time outdoors, taking photos, creating all kinds of sweet treats, and spoiling my animals. Oh, and pizza. Who doesn’t love pizza?